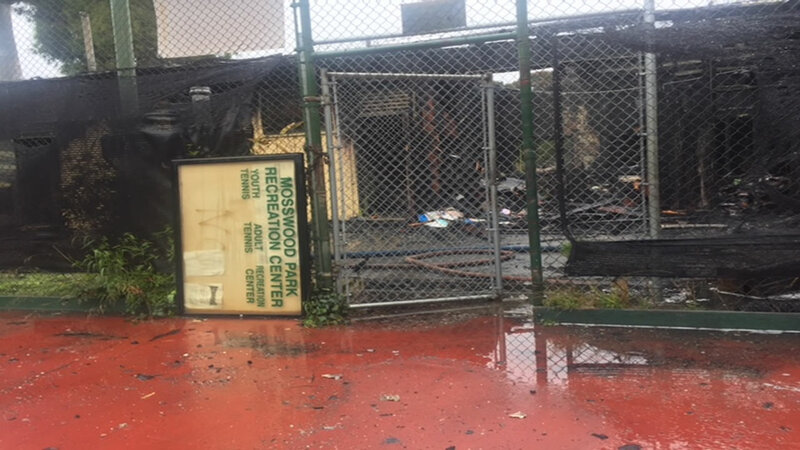 OAKLAND, Calif. -- A building located inside an Oakland park that serves as a school sustained significant damage after a two-alarm fire broke out there this morning. Around 5:30 a.m., officers responded to a report of a fire at Mosswood Park at 3612 Webster Street, according to Oakland fire Chief Zoraida Diaz. Upon arrival, firefighters found a building in the park fully involved in flames. The blaze was threatening surrounding homes, fire officials said. Firefighters were able to extinguish the fire within about 60 minutes of arrival, according to Diaz. The building, which is operated by the Oakland Parks and Recreation Department, serves as a preschool as well as an inclusion school, Diaz said. A Victorian style building used as a storage unit, adjacent to the building was saved from the fire, according to Diaz. No injuries were reported as a result of the fire and the cause remains under investigation, Diaz said. Firefighters responded to the scene of a structure fire on Webster Street in Oakland Saturday morning. The two-alarm fire broke out at a school in the 3600 block of Webster Street, according to the Oakland Fire Department. The building is fully involved in flames, and crews are operating multiple hand lines to protect surrounding homes. Firefighters are working to bring the fire under control. The fire was first reported around 5:30 a.m.